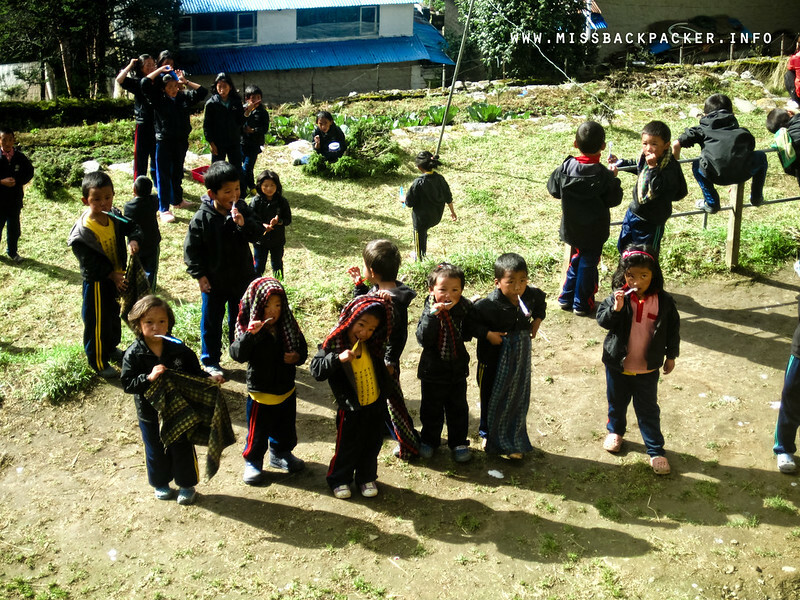 EBC Day 4: Namche Bazaar to Deboche | Where Have You Been Lately? How lovely it was to wake up feeling all well! And as part of our daily morning routine during our trek to the Everest Base Camp (EBC), we packed our stuff, freshened up, and had our breakfast. I once again do not recall what I ate that morning but I did learn one thing. 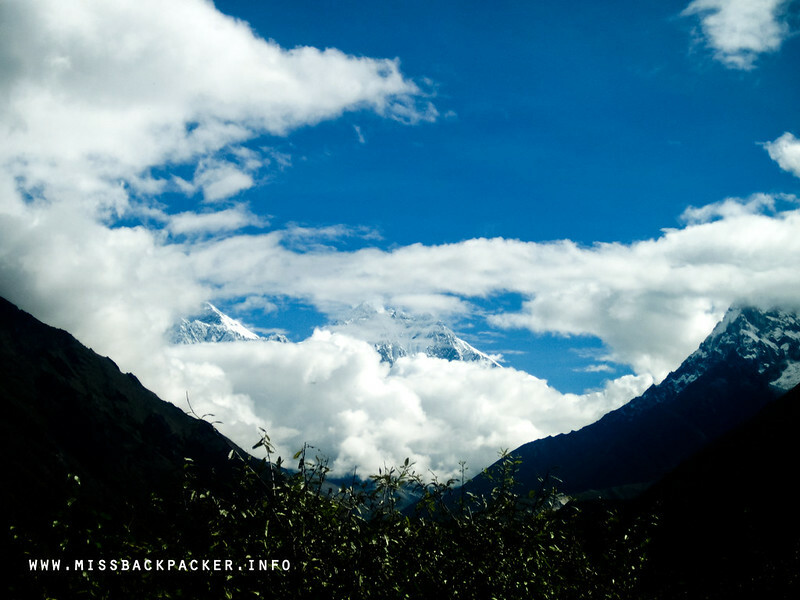 Just like in Annapurna, locals believe that mountains are sacred and must be treated with utmost respect. One way of showing this is to cease from eating meat. Therefore, there’s a certain elevation or village up to which meat is allowed. In EBC’s case, it is in Namche Bazaar. I felt bad that I had my last taste of meat in Phakding, which was three days ago. I would have to wait for six more days to taste chicken. Nevertheless, I didn’t let it ruin my bright day. It was so nice to meet you, Day 4! The kids who brush their teeth together are happy together! 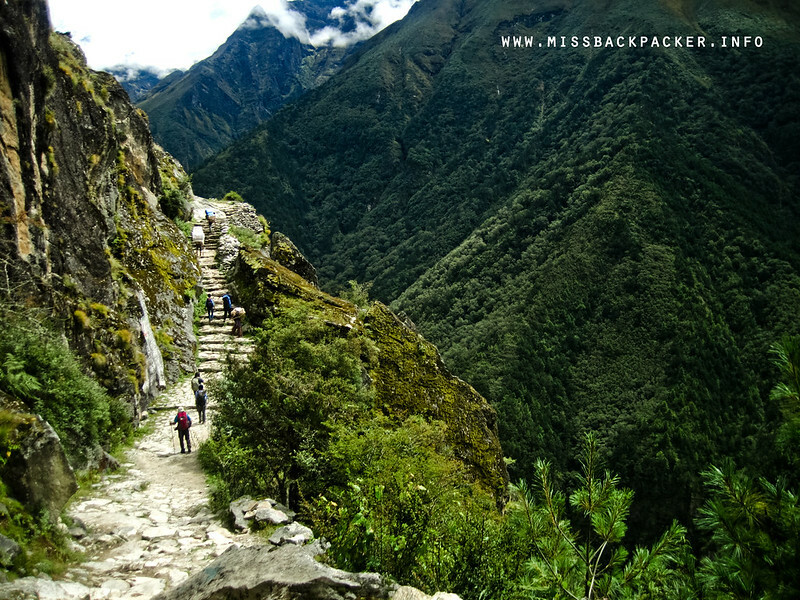 From Namche Bazaar, we would pass by five villages before we reach our destination, Deboche. We would be gaining less than 300 meters only but the whole hike would take eight or more hours. And so we started walking. The first hours of the day had gradual ascents and descents. The joy we were having from the easy trails became even better with the mountain views and the Colorado-esque scenery which was just everywhere. It was so refreshing! The trails were just like this, moderate and tolerable. I was hoping to see Legolas come down this LOTR-like hill. ♬ ♪ ♫ Oh Colorado, take me home. ♬ ♪ ♫ Nah, we’re still in Nepal. Most of the time, the trails let us have a glimpse of the prominent Mounts Nuptse, Lhotse, and Everest. But they played hide and seek with us the whole time. Sometimes they were covered with clouds, sometimes they were just there as if staring at us. Was this some kind of a sign of a not-so-good weather ahead of us? The mountains are kinda shy today. 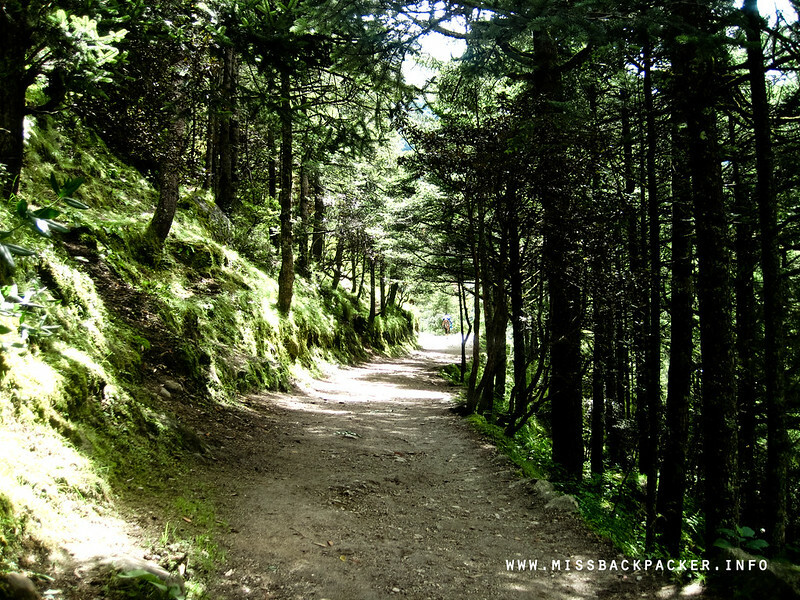 In one part of the trails, we saw trekkers ahead of us flocking from where they were. We wondered what’s causing the traffic. When we reached that part, we saw an old man seating with a box beside him labeled Donation. So, he’s the one causing the traffic. He was uttering something, which we couldn’t make sense of. The only words we understood was donate. 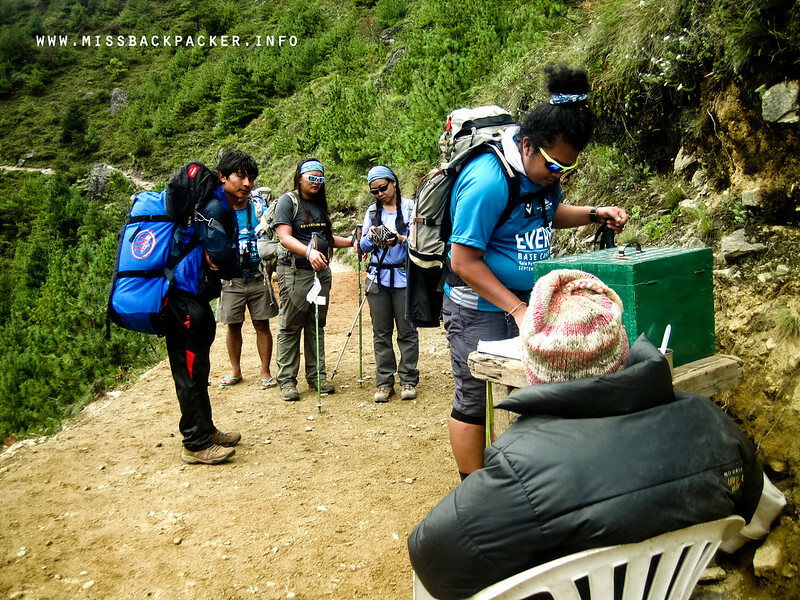 We had to read the big signage indicating that the donations collected from the box are being used in the rehabilitation and maintenance of the trails leading to EBC since the local government doesn’t provide funds to do so. 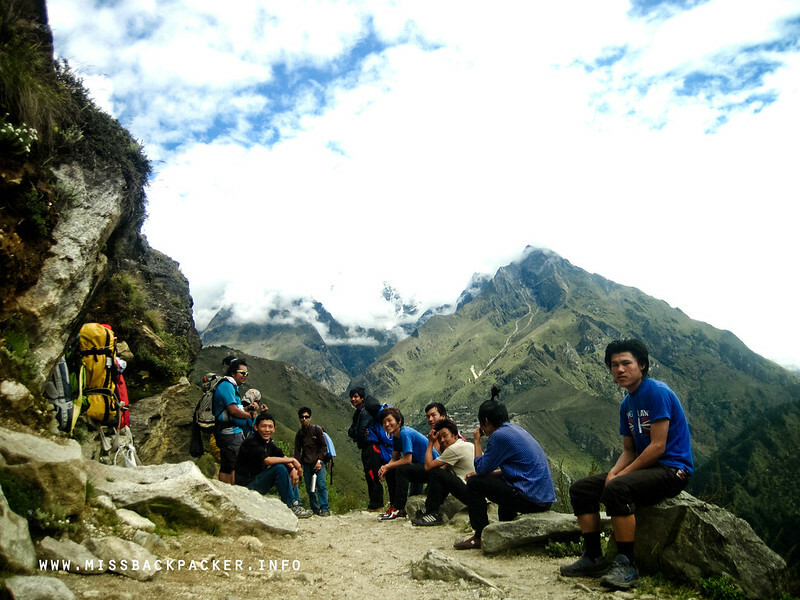 Thanks to the collective effort of the locals lead by the man collecting the donations, Pasang Lama Sherpa, that the trails are well-maintained and taken cared of. 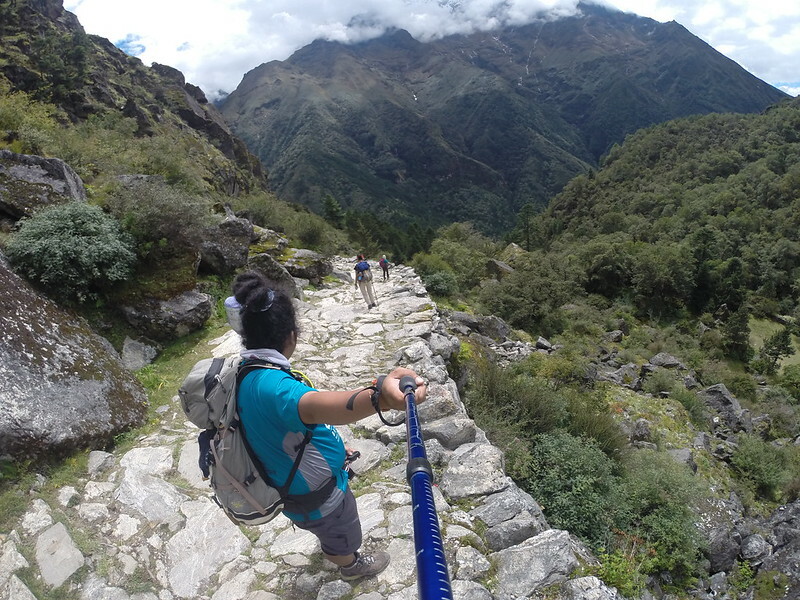 Further in the trail, you’ll pass by Pasang Lama Sherpa. These young porters were just singing and laughing as we walked with them. We passed by several stupas, some of them dedicated to fallen mountaineers who lost their lives trying to climb Sagarmatha. Actually, there’s nothing really significant this part of the trek. I might be getting used to the majestic views, I thought. Then came 2:00 in the afternoon when the trails were just going up, up, and nowhere but up. The temperature suddenly dropped, fog started to envelop the surroundings, and we felt little raindrops falling over our heads. Here we go again. I was longing to see a different kind of view and here it was. Be careful what you wish for, tsk. I realized from the last three days that whenever I feel cold, I also start to feel ill. This time, I’m not letting any of this sickness win over me so I put my rain jacket and gloves on. I excitedly continued to walk and surprise, a small arch indicating that we were now entering the popular Tengboche village welcomed me. 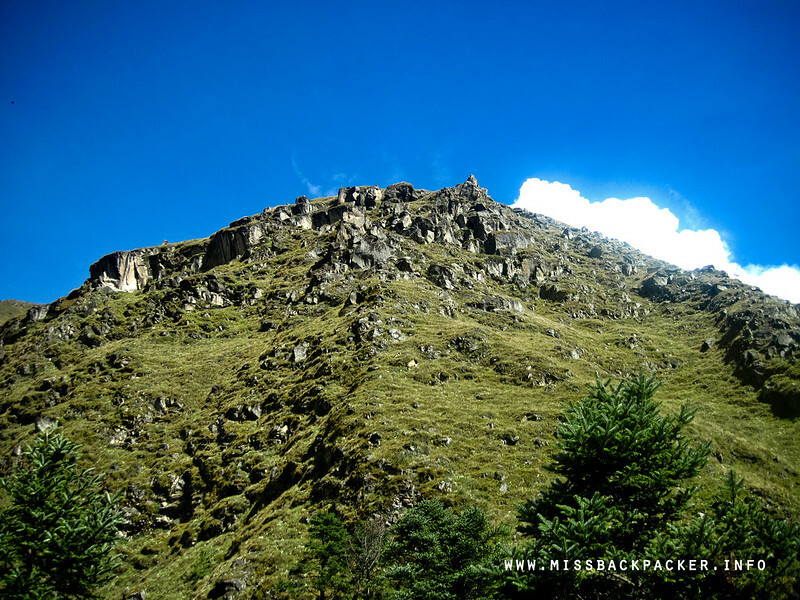 It gave such a relief knowing that that meant our next hour would be an easy decent to Deboche, which is a hundred meters further down Tengboche. From the arch, we had to walk for a few more minutes before we reached the entrance to the monastery. It was still raining, the temperature has become colder, and regardless of the measures I took to prevent becoming sick, I now was feeling indisposed. While waiting for the others who were at the tail of our hike, some of us were already debating on whether we would still enter the monastery or not. But when Bikal said that this is one of the most important monasteries in Nepal, we headed straight inside and decided to just wait there for the others. While inside the complex and with other trekkers, who, basing on their clothes, were spending their night in this village, the doors leading to the main prayer room were still closed. We waited and waited but the doors never opened. Apparently, the monks only allow visitors inside during certain hours. We didn’t have the luxury of time to wait as we still need to move on to the next village. So, upon the arrival of the other members of the group, we left and opted to just visit the monastery on our way back from the base camp. I am sorry that I have no photos to show you because the only thing I have in mind that time was to get going, to reach Deboche alive. True enough, the trails leading to Deboche were all downwards but it didn’t make me any better. I was feeling very ill—headache, weak, cold, and a lot more! I couldn’t appreciate the beauty of the trails that are comparable to the Kingdom of Mirkwood in The Lord of the Rings. Mossy, healthy trees, refreshing shade. Nearly an hour passed and we were now seeing teahouses. When we reached the teahouse, we just dropped our bags, ordered what we would have for dinner, and went to our rooms to change clothes. Because of the weather condition, it was colder than ever plus the fact that our lodge is just beside a creek. As usual, my day ended with only a cup of hot soup and plenty of unwell feelings. Excited how D5 would turn out. If you can’t see me and Agot in this picture, it’s because we’re feeling under the weather so we slept early. Interesting that you stayed in Deboche instead of Tengboche. 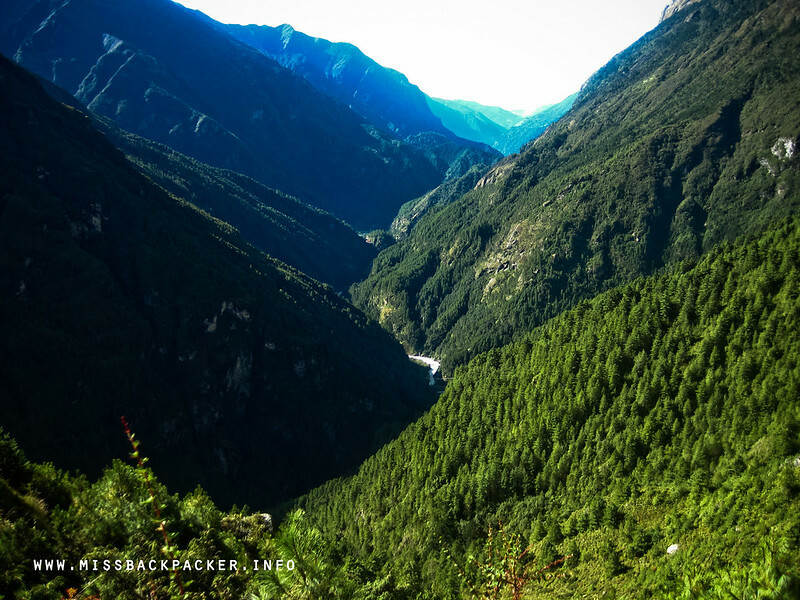 But I know what you mean by – “…might be getting used to the majestic views.” I felt the same after 4-5 days into the trek. You get little tired of the views and physically it feels harder to continue. But the end feels so good! I am glad I found you through Instagram. I already like your writing style and the kind of life you live. Inspiring! Will be looking to read more!